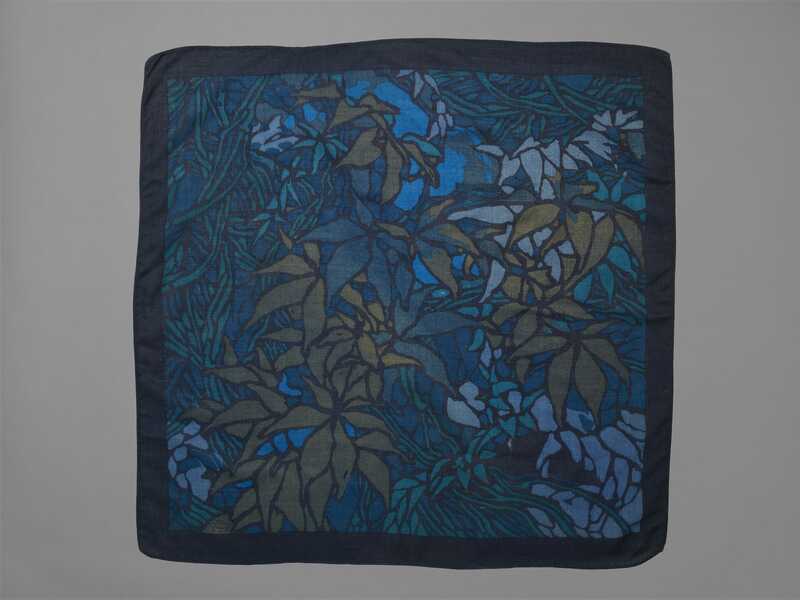 This headscarf was designed in 1965 and printed at Liberty’s Merton Printworks in South London. 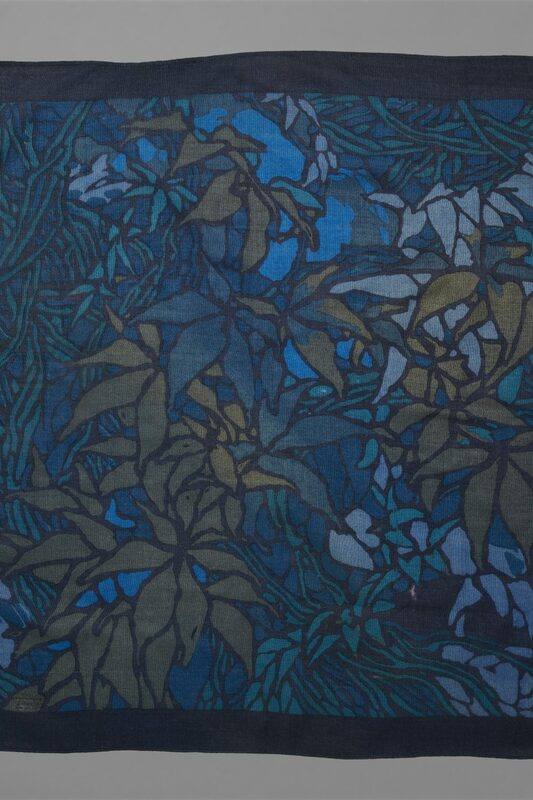 No designer’s name is recorded in the company’s textile archive; with a few exceptions it was Liberty’s policy to emphasise the company’s name over that of the designer. The scarf was produced at a time of great popularity for the Liberty headsquare, when a day’s shopping in town would often include a visit to the shop’s scarf and fabric departments. Its sophisticated colour palette, ranging through blues and greens on a dark navy ground, is characteristic of the period. Liberty’s textile designs were given names that were sometimes simple and self-evident, and sometimes had historical, classical or geographical allusions. The choice of the rather erudite name of this scarf’s design, ‘Charybdis’, is intriguing: Charybdis being a giant whirlpool in a narrow sea channel , past which Odysseus had to sail in Homer’s epic Odyssey, and seems to have no apparent bearing on these images of lush vegetation.